Pro Plumbers is a team of passionate professionals that believe in long lasting relationships with our clients. Fostering these relationships is crucial to building a loyal customer base. A real “professional plumber” understands your expectations from our services and tries their best to reassure you that you made the right choice. Without compromising on the quality, we introduce you to different packages which fall into your budget. So don’t hesitate to contact for any regular repairs, upgradation of your plumbing system or any emergency. Our team is always prepared to address to your plumbing needs 24/7. We’re here for you. We distinguish ourselves regarding our organizational structure that promotes professional growth of individuals. This helps in creating and nurturing a workforce that is ambitious to achieve the targets set by our clients. Customer satisfaction is our most prized asset and is given the utmost importance. We have a passion to fulfill our client’s needs in the minimum span of time. We heavily rely on our customer’s feedback. We take input from our esteemed clients after completion of every project and ensure that they’re fully satisfied with our work. We strive for perfection and to achieve it we continuously train our employees and get them familiar with the latest technology. We encourage innovation while incorporating the latest technology into our systems and workforce. This continuous effort allows us to be efficient while providing our customers with the best quality service at the most reasonable prices. 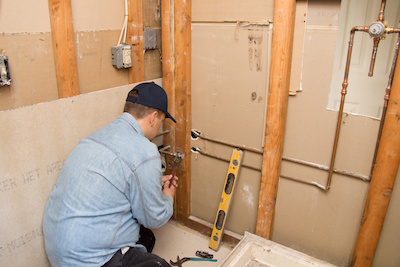 Our plumbers also install fixtures, repair and maintain pipes, and other related water distribution jobs like waste water disposal in the toilets. They have years of work in commercial and industrial buildings as well. We know how to read blueprints and drawings to determine the different standards and specific layouts of the plumbing and water systems. They then provide details and approaches on how they are going to fixing and drain them. Looking for the best plumbers in Augusta, GA? Calling a plumber for toilet issues is the ideal and proactive decision with immense benefit. For instance, when your toilets cuts on and pauses by itself or runs for an interval at a time, then the toilet has a problem. Plumbers call this the “Phantom Flush”. The problem is more than likely caused by a bad flatter and requires the assistance of one of our professional plumbing contractors. Do you want to repair a poorly flushing toilet, or completely install a new fixture altogether? Our plumbing contractors are more than willing to help you. We are experts in repairing any toilet leaks, and replacing old, non-working parts & fittings. 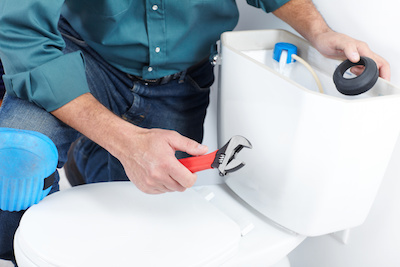 Whatever toilet issues you may have, our reputed and experienced plumbers can fix them. Be it minor repair work or complete installation of a new toilet, you can count on our plumber’s expertise. The dishwasher is an excellent utility most commonly used for cleaning your dirty dishes and eating utensils. Having a plumber service your dishwasher is paramount for improving cleaning performance, and helps reduce food debris inside the dishwasher. Oh, and it also prevents sewage from flowing back into the dishwater using an anti-back flow. (This is not something you want). Probably nothing saves more time and labor as the kitchen dishwasher when it’s working well; it brings comfort and beauty into your home, as well as convenience. Your bathroom plumbing fixtures go through a lot. 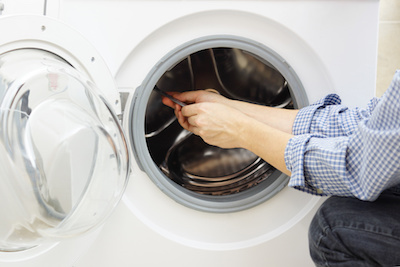 From years of toilet flushes to full sinks, and long baths with hot showers, the plumbing necessary to keep this essential room in the home running are under constant stress. You ever have that moment when you turn on the shower, and the water doesn’t get hot? It may be from the hot water tanks, faucets, shower valve, or for older homes cross-connected pipes. Although, the amount of time of use is also a factor. Our plumbers are here to solve are your issues, and can check your shower waterproofing membrane. (With age the waterproofing membrane degrades creating holes, tears, and breaks. A good plumber can determine the cause of this. It’s always good to have our plumbers check that you have a good proper plumbing system that can prevent unfortunate things from happening. Ensure you have professional plumbers perform regular maintenance to help lengthen the life of your bathroom plumbing fixtures.